Whether you've sold a house before or are looking to sell one for the first time, you likely know that using a real estate agent brings a sales commission, which sometimes can seem expensive. It’s also common for people to consider selling a home themselves, without the help of a Realtor. While, on the surface, it seems to make sense that someone would save money without paying for an agent, facts continually show that using a Realtor to sell your home can actually increase your profits. If you've started to research the idea of placing your home on the market without using an agent, it’s likely you’ve come across mention of other potential sale-related costs, separate from any real estate agent or agency. There will still need to be a settlement handler, such as an escrow and title company, or, in some cases, a real estate attorney. These costs can be approximated for you by a real estate professional, so you fully understand all the expenses before you get caught by surprise. Handling all the day to day activities that go along with selling your home can often feel like a full-time job. Many times, the money a person “saves” by doing it themselves is outweighed by the sheer time and energy that they pour into getting the home sold themselves. Spending your time on real estate marketing and preparing the necessary paperwork for the sale of the home will invariably take away from more productive things that you could be doing with your life. One of the biggest mistakes made when an individual attempts to sell a home without assistance is that they won't know the perfect price to list it at. A Realtor will be able to help you identify the optimal listing price that will get you the best price, without turning buyers away due to an above-market-range price point. While there are plenty of online tools that you can use to assess the value of your home, these tools often provide you with incomplete information that could result in a costly mistake. No computer algorithm can take the place of a person who knows your market, which can prove to be invaluable when it comes to listing your home at the right price. 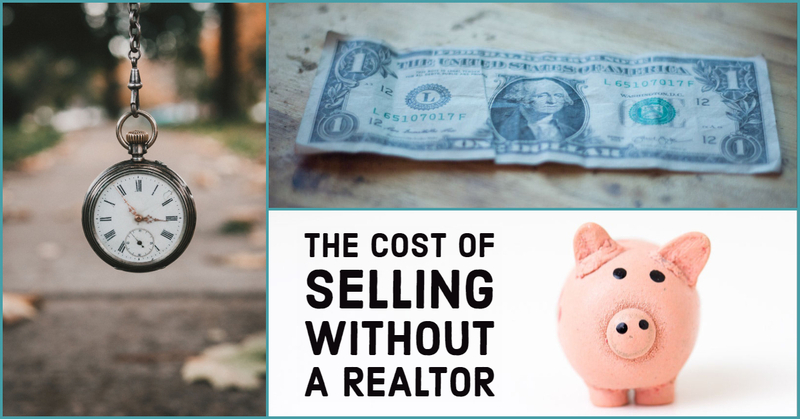 It's also relatively easy for people who are trying to sell their house without an agent to miscalculate the costs it takes to get the home in sellable condition. Sometimes, when you take a closer look, it’s easy to see how a homeowner can end up footing the bill for an unexpected roof or major system repair, or even repairs for termite damage as part of the sale. There are things to look out for. 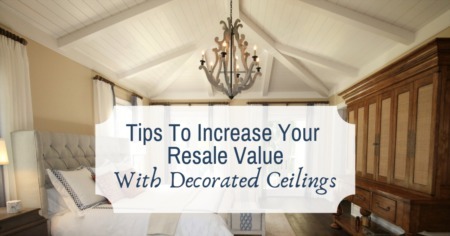 There is also a range of other things you can do to increase your property’s value, and you want to know which ones are the best at improving your profit margin. This is where having a Realtor starts to show its value. Knowing what it takes to sell a home efficiently, and in a way that shields the seller from problems and liability, can be an invaluable asset when it comes to the appropriate and safe handling of what’s likely to be your most valuable asset… your home. When looking at real estate sales in 2017, the average price sold price for an agent assisted sale was around $250,000. The median selling price for a For Sale By Owner, or FSBO, home was substantially lower, at a price of $190,000. The costs of selling your home without an agent could be substantially higher than the 5-6 percent extra that you would need to pay for the agent. In almost every way, Realtors are able to simplify and streamline the process of selling a home while also helping you obtain a much better price than you might otherwise get. In general, the benefits of using a Realtor to sell your home should far outweigh the costs of paying a commission to them. Realtors understand what buyers want, and they know how to provide it to them. Staging is a good example of this, when your Realtor, or a professional “Stager” comes in to partially or completely makeover the house, to make it look more appealing to buyers. Staging has proven itself to pay for its own cost with room to spare time and again, and your Realtor is sure to have a good working relationship with the best Stager in your area. By increasing the attractiveness of the home, it raises the home’s appeal and hopefully resulting in higher interest and activity towards a potential sale. These are a couple of minor ideas as to how a Realtor can totally earn his or her keep… and if you’re a buyer, the real estate agents fees are normally FREE to you!. . Likely the most advantageous aspect of using a Realtor in regards to the profits that you'll make from the house is that a Realtor will know where to accurately price your home. There are different strategies for naming the “best starting price”, and many times it depends on how much you owe, and how much time you have. But sometimes a slightly lower price can create a flood of interest, resulting in a “bidding war”. Other times, a higher price can just simply do what it’s intended to do… obtain a higher price. Many Realtors will tell you that neither the buyer nor the seller determines price. Market determines the price, and understanding the market, and being able to adjust to shifts in the economy, or to news of a higher than average mortgage interest rate increase, is where your Realtor will really stand out. It may not be hard to sell one home, but it’s not easy to be equipped and prepared how to handle “worst case scenarios”. So before you make your final decision whether to hire or not to hire, imagine the worst case scenario with your home sale, try to guess how expensive it might be to endure that yourself… or to hire the professional who’s trained in producing “better than expected” results. Ultimately, it’s your bottom line, and your Realtor can help protect and insure you achieve your best possible return.